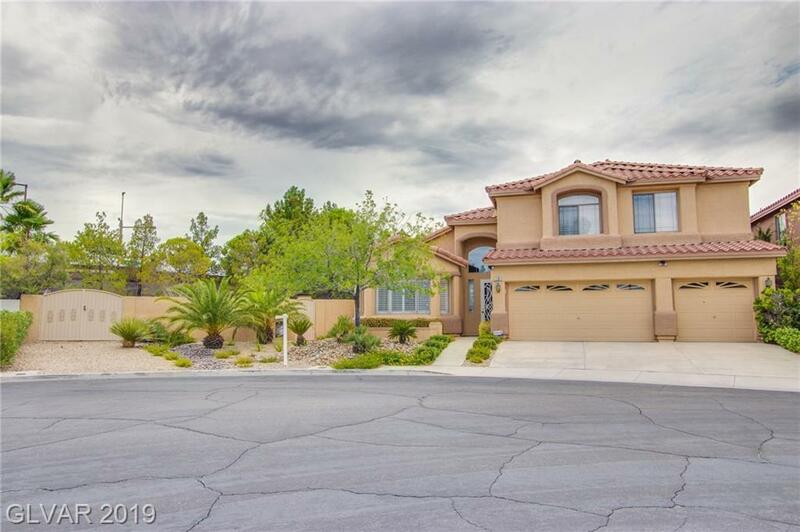 STUNNING 4 bedroom Summerlin home on a HUGE LOT with a lush yard, beautiful waterfall/pool, & cement pad for extra parking or potential basketball court. The kitchen features custom cabinets w/ roll-out shelves, built-in fridge, granite counters, ice maker, & convection oven. The family room welcomes you with custom built-ins & a TV that conveys with home. Other highlights include a giant loft, central vac, alarm, & water treatment system. Enjoy! Directions: From Town Center And Hualapai, Go West On Hualapai, Right On Fire Light, Left On Pacific Palisades, And Right On Ventura Hills. Home Is The First Home On The Left.